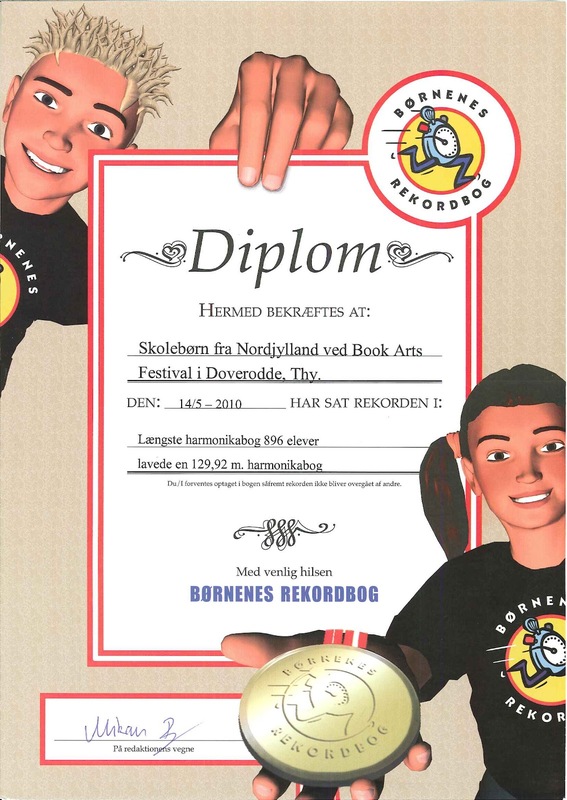 For the 2010 Festival former schoolteacher, Kathleen Elizabeth (Liz) Hempel-Jørgensen initiated the Harmonica Book Project – a collaboration of teachers and children from the regional schools to aim at making the longest harmonica book in Denmark. 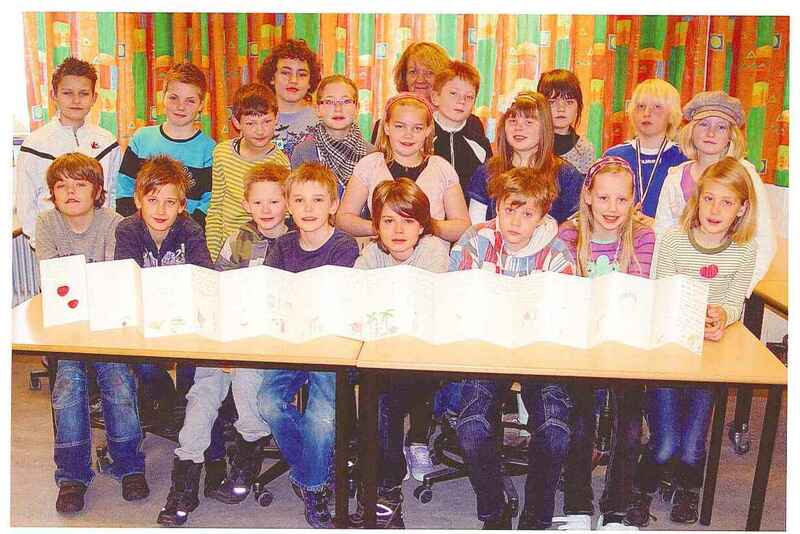 Each participating school class would receive instructions and materials of how to contribute to this unique book. The theme of the book was the same as the theme of the 2010 Festival: ⌘ / Place of Interest. 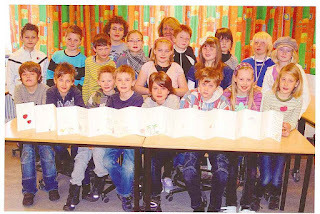 Each child was provided with a sheet of paper (H: 21cm x W: 14.5 cm) for the teachers to connect into a part of the growing harmonica book. 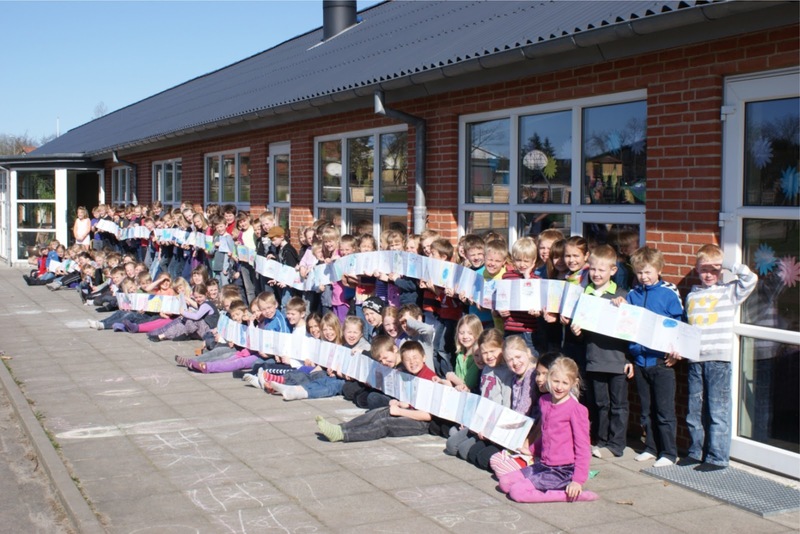 The final book was measured to be 129,92 meters and was entered into the Children’s Book of Records. It was exhibited at the Limfjordscentret from May 13th – June 20th, 2010. "Her i Vrå har vi sendt børnene ud for at tage billeder af seværdigheder og hvad de syntes, der er godt og sjov i Vrå. 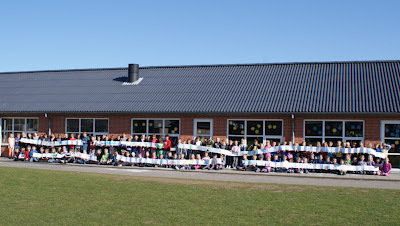 Det har været en fantastisk succes og børnene tog det meget alvorligt, at de selv skulle tage billeder. Herefter har vi lavet arbejdstegninger og bagefter lavet de rigtige billeder, nogle blev hurtig færdige og vi fik samlet lidt af bogen." 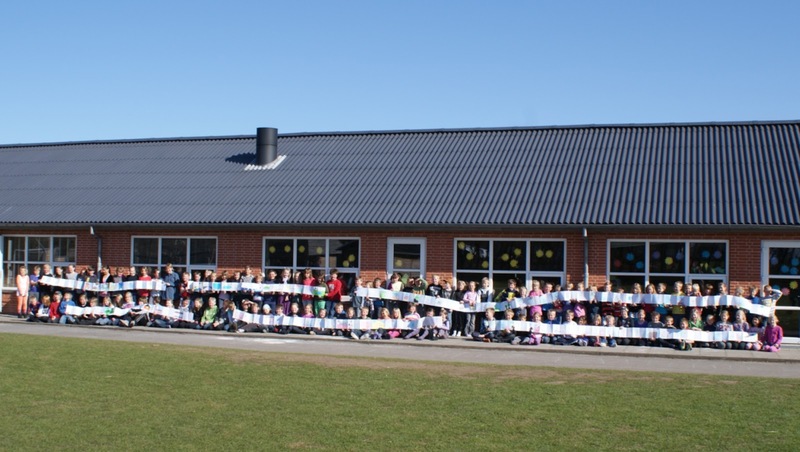 Girl from Vrå school Kindergarten working, 2010. 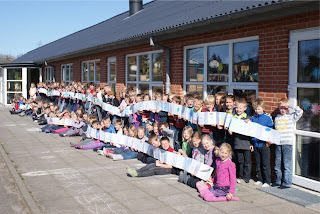 Children working at the Kindergarten, Vrå School 2010. Hurup school visiting the exhibition, 2010. Some pages from the Arden school contribution, 2010. 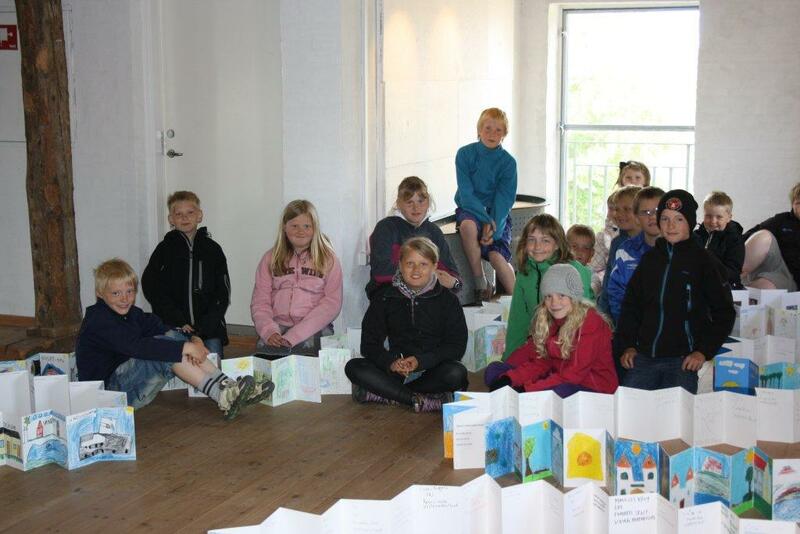 Skallerup Friskole visiting the exhibition, 2010.